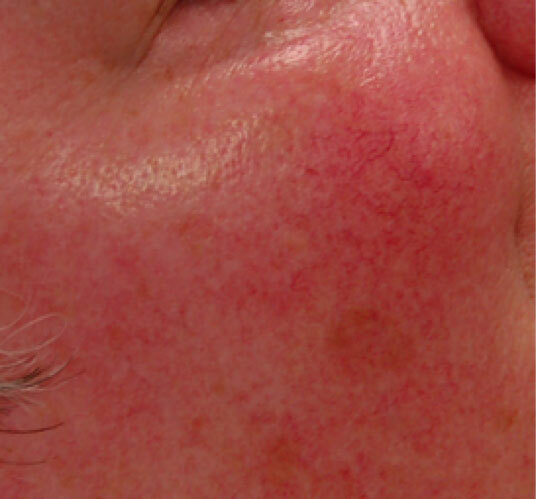 The VBeam Perfecta laser by Candela is a state-of-the-art laser that is useful for a large variety of skin lesions. This very powerful and versatile laser can be used to treat facial redness, age spots, superficial veins, wrinkles, scars, and many other conditions. It can be used at settings that are effective and yet have no “down time.” Conditions we commonly treat with the VBeam laser are listed below. What can the VBeam laser treat? That depends on the patient and the area treated. Different people have different sensitivities. Each pulse of the laser stings or burns. While a single pulse is tolerated easily by almost anyone, multiple pulses can be very uncomfortable. The discomfort is brief. With this laser no anesthetic is usually needed or used. In special circumstances an anesthetic cream can be applied 45 minutes before treatment, which will reduce discomfort. Does this work on all skin colors/races? No. This laser cannot safely treat very dark skin. The darker the skin, the greater the risk of pigmentation problems. It will work well on moderately pigmented or olive skin (e.g., Asian or Hispanic), and works very easily on pale skin. How do I set up an appointment for treatment? 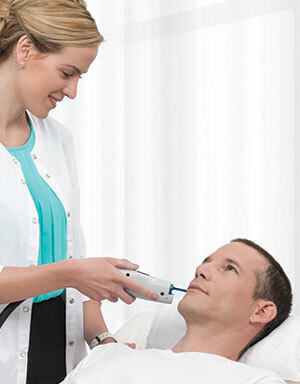 Before any treatment would be considered you need evaluation by one of the dermatology providers in the office–Dr. Richard Wyatt, or Mike Brown, P.A.C. Although treatments are usually considered cosmetic (and therefore not covered by insurance), evaluation of the condition or lesions are often medically indicated and evaluation is often covered. The first step is usually to make an appointment with either Dr. Wyatt or Mike Brown. Sometimes treatment can be started at that visit, but more often treatment is scheduled for another day. Most laser treatments are actually done by the aesthetician on staff, Carol Marnelakis, but any one of the three of us can do the treatments. Do I need to take any precautions before or after treatment? You should not have a tan when undergoing laser treatment. Tanned skin is more likely to be damaged by laser. Do not apply any sunscreen or makeup or any lotion to the target area the day of the treatment. “Fake tan” products should not be used prior to treatment. If you have a history of herpes simplex in the area treated, the irritation of the laser can activate the infection. Let us know if you have such a history; it is easy to prescribe an antiviral to take before the treatment to reduce such a possibility. Treat the skin gently after the treatment: do not pick, rub, or abrade the skin. Avoid direct sun for 2 weeks after the treatment; it is thought that sun exposure in this period may increase the risk of pigmentation. Please don’t schedule a treatment if you plan to go out of town during the week after treatment. Most post-treatment problems are trivial, but if you have a problem and can’t come in for evaluation we can’t reassure you, and it can be scary–imaginations tend to cause a lot of anxiety. Most often the area treated is more red than usual, resolving over a few hours. For some people the area becomes swollen, especially if more vigorous settings are chosen. When this happens the swelling may last for hours or even days. When the full face is treated we have noticed a significant incidence of facial swelling, especially under the eyes. Most settings we use will not cause bruising, but sometimes there is slight bruising that resolves over a few days. Vigorous settings can easily cause bruising; we would discuss this with you before treatment. Can it cause any permanent damage to my skin? Theoretically, yes. True scarring is a risk with any laser. However, with this laser it is exceedingly rare. 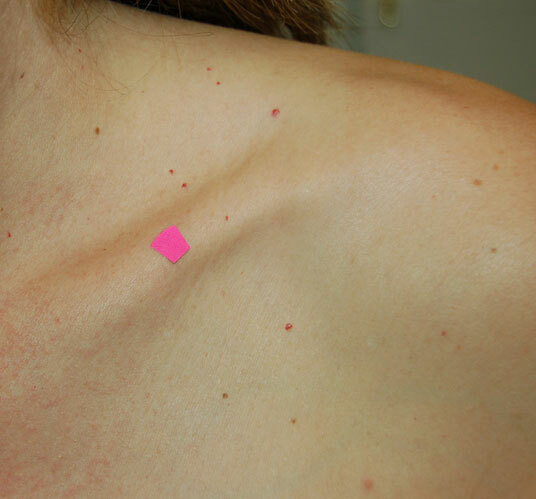 Permanent or at least persistent pigmentation changes have been reported, however–but they are rather rare. 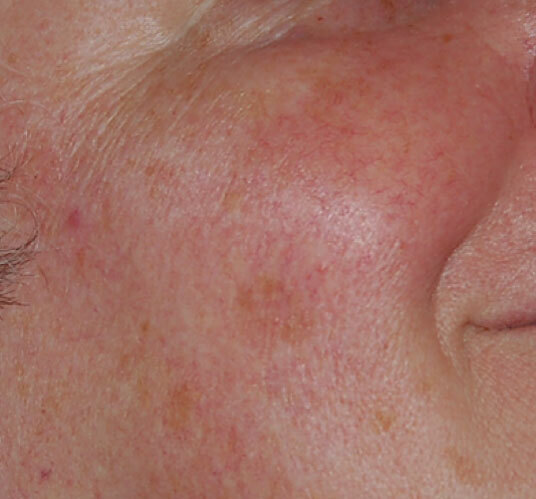 Transient hyperpigmentation or hypopigmentation is not that uncommon. This can cause anxiety in both the patient and the practitioner, but the pigmentation almost always normalizes. The resolution of hyperpigmentation can be easily speeded up with a bleaching cream. Hypopigmentation, on the other hand, has no reliable remedy other than time. You should keep in mind, though, that use of a laser like this one can potentially cause permanent decreased pigment in the skin, even though that is rare. No. There are no reports of this, nor has anyone suggested a reason to suspect that it might cause cancer.